On July 16, 1862, prolific writer and civil rights crusader, Ida B. Wells was born into slavery in Holly Springs, Mississippi. Ida’s mother, Elizabeth, was famous for her cooking. Ida’s father was a carpenter. His name was James. The nation’s slaves were freed by the Emancipation Proclamation six months after her birth. Both parents were able to read. They taught Ida to read at an early age. Ida’s father was on the first Rust College Board of Trustees. Education was a priority for his children. Wells received schooling early from Rust College. Political activists surrounded Ida when she was growing up. She was hopeful about civil rights in American society. A yellow fever epidemic took the lives of her parents and an infant brother in 1878. 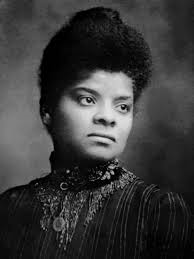 Ida Wells was 16 years old at the time. Raising her younger sisters and brothers became her responsibility. When her parents died, she was forced to drop out of school. African Americans in Mississippi faced racial prejudice. They were restricted by discriminatory practices and rules. To support the family, she became a teacher. She landed the teaching job by being resourceful. She convinced a school administrator nearby she was of age. Her life was changed forever during her teaching tenure. She was accustomed to riding in whatever seat she chose on the train. When she refused to move to the African American car, she was forcibly taken from the train. She filed suit against the Chesapeake and Ohio Railroad for forbidding her to sit in the coach designated for ladies. She wrote about the experience in a subsequent article. Writing the article led to changing careers. She became an African American journalist. Wells and her sisters moved to Memphis, Tennessee in 1882 where they lived with an aunt. Her brothers became carpenter apprentices. Ida was able to continue her education in Nashville at Fisk University. Throughout the South, brutal suppression and intimidation was being waged against blacks. Ida Well’s quest for justice and sense of indignation were fueled. She used the power of the written word to expose motives causing the violence. Lynching was her crusade’s target. Lynching was the main tactic used in the strategy of terrorizing blacks. Three male friends of Well’s were successful, law-abiding businessmen who were competing with white businessmen. The outstanding trio were lynched for a crime they had not committed. Wells told of the situation in such a clear, forceful manner that drew attention from both whites and blacks. She contended that lynching was an inflammatory systematic attempt to make the black community subordinate. In the mid-1880s, Ida went to Chicago. There she met and married fellow crusader, Ferdinand Barnett. The widower was a well-known lawyer and founder of the newspaper, The Conservator. Barnett had two children from the first marriage. Ida raised them and the four children she and Barnett had in the first eight years of their marriage. The added responsibility did not deter Well’s continued, relentless battle for social justice. Along with periodical and newspaper contributions, she founded an institution to assist African American immigrants find homes and jobs. She was one of the NAACP founders. She also helped found the NACW (National Association for Colored Women). She was a suffrage movement activist. She died March 25, 1931. Ida Wells left a formidable legacy in the fight for civil rights. Her undaunted tenacity and courage helped in the battles against sexism and racism in America. Wells was more outspoken and courageous than few Americans have ever been. She denounced discrimination and exploitation at a time that was literally life-threatening. The committed African American journalist and crusader attacked all fronts of social wrongs. She exposed oppressive African American living conditions and investigated race riots.